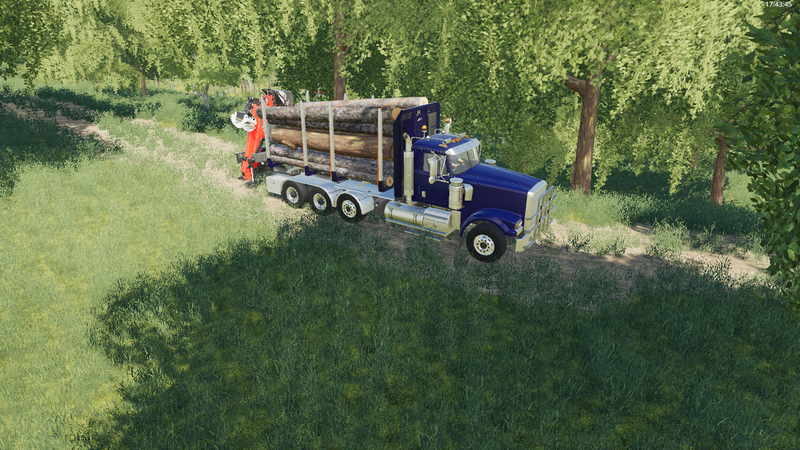 Description: Coming out of the woods with the first load on my new log truck. I really like this truck. It has freakily realistic handling. I'm still not quite used to the knuckle-boom but I don't think I did too bad of a job here. Thank You GreaserSnoopy and JohnDeere1952. you are very welcome glad you enjoy it I really like how the log trucks turned out!